If clothes make the man, then it follows that dress makes the woman. Or woman makes the dress. After all, garments aren't merely swatches of cloth sewn together. The Chicago History Museum's exhibit "Chic Chicago: Couture Treasures from the Chicago History Museum" features some 80 garments (from a collection of more than 50,000 textile artifacts) showing what Chicagoans were wearing, why they wore them and what they say about who we are. She is: Owner and manager of Laura Barnett Designs and a former president and current member of the Costume Council of the Chicago History Museum. 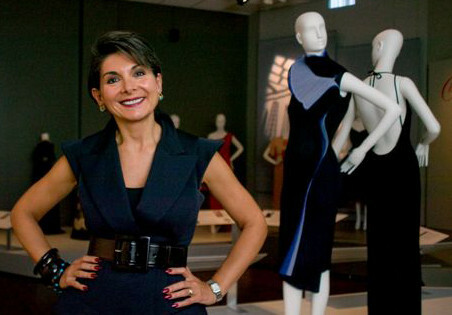 She donated: A pleated, polyester evening gown by Japanese designer Issey Miyake.